While at the Iowa State Fair a month ago, I picked up a few booklets that the Iowa Corn Grower’s were handing out to kids at their booth. I thought that I would share the trivia and activities with you and your kiddos! 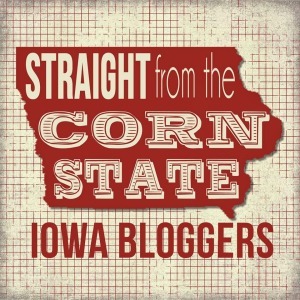 The following information is from the Iowa Corn Promotion Board. When we hear the word “corn” we may see images of eating hot, buttered corn-on-the-cob or fields and fields of corn plants growing along the highways. But did you know that corn is around you everywhere? There are more than 4,000 ways to use this popular crop, and scientists are discovering even more ways to use corn every day! Since ancient times, corn has played an important role in human history. Corn is a grass native to the Americas and is thought to have been first grown in central Mexico 7,000 years ago. Corn was a staple of Native American diets and was used as tools, decorations and in religious ceremonies. Many eastern American tribes shared their knowledge of corn production with the early settlers, which saved many of these pioneers from starvation. Corn is now grown all over the world–on every continent except Antarctica. The United States produces more corn than any other country. 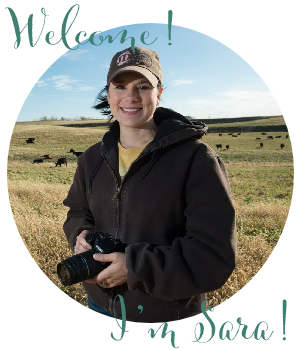 And Iowa produces more corn than any other state in the Unites States! Do you know the difference between sweet corn, field corn and popcorn? Sweet corn is the type of corn people grow in their vegetable gardens. Sweet corn is the corn-on-the-cob, canned and frozen corn that people eat. It can be grown year round in warm weather climates. The ears are harvested before the seeds begin to harden. Field corn, also know as dent or feed corn, makes up more than 90% of the corn you see growing in the fields. It is hard on the outside and starchy on the inside. While most often considered food for animals, it can in found in products you use everyday! 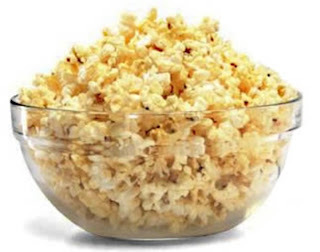 Popcorn is a special type of corn that retains water within the kernel. When the kernel is heated, the water also heats and builds up pressure. This pressure causes the kernel to turn inside out and then you have hot, fluffy popcorn! While whole corn can be fed to livestock or ground to be used in human food, a corn kernel has several important parts that can be used in all types of products. Those parts are starch, oil and gluten and can be separated at a mill. One bushel of corn (56 pounds of corn kernels–about the size of a bag of dog food) provides about 30 pounds of starch that can be used by itself or made into sweetener, fuel ethanol or corn-based plastics. What is left is one and a half pounds of corn oil and high-protein feeds that can be fed to animals. Talk about getting the most out of a crop! Is corn a vegetable or a grain? Scientifically speaking, any plant is considered “vegetable.” But if we were to put corn in the food guide pyramid, we would place it in the “grain” food category. Why? It is the kernels, or seeds, of the corn plant that are eaten, and these seeds are full of starch. The good part is that corn is full of cancer-fighting antioxidants, so this grain can be part of a nutritious, balanced diet. Ethanol is a fuel that can be made from corn. In fact about one third of the corn crop goes toward ethanol production. Ethanol has less impact on our environment than gasoline, is renewable and is made in the U.S. This fuel can be added to gasoline in order to reduce the harmful gases that come from a car’s tailpipe. It also reduces the amount of oil we purchase from other countries. More fuel stations than ever are providing ethanol for customers to buy. One ear of corn has about 16 rows and 800 kernels. The number of rows will always be an even number. There is one silk for every kernel that grows in an ear of corn. Today, one American farmer feeds over 155 people across the world! Iowa farmers are growing more corn than ever–twice as much as they did 100 years ago on two-thirds less land. 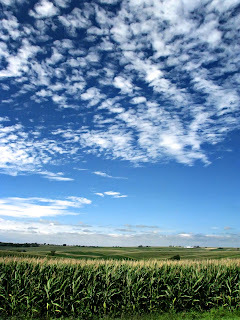 Iowa has produced the largest corn crop of any state for each of the past 17 years. In an average year, Iowa produces more corn than most whole countries. For example, Iowa grows three times as much corn as a country like Argentina. As long as it is not too cold and wet, Iowa farmers plant field corn seed in mid-April and harvest the corn corp in late September. 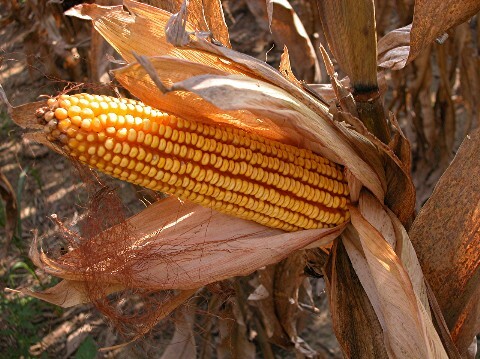 Most of the corn is fed to livestock such as poultry, cattle and hogs. Iowa corn is also sold to food and beverage makers, is used to make fuel ethanol or is shipped out of state where it could end up on the other side of the world! 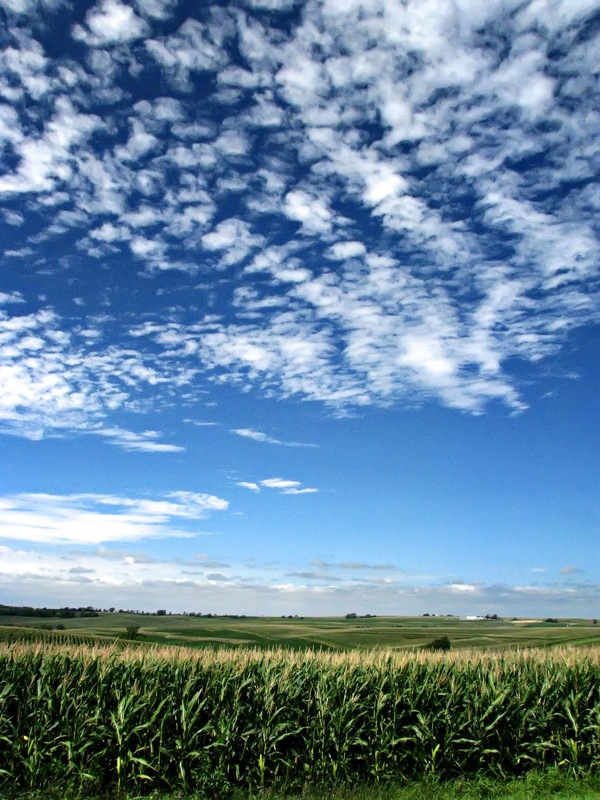 Can you name the 11 states that are part of the “Corn Belt”? How many of the items above do you have in your household or school? If farmers could no longer grow corn, are there things on the list you could live without? If some of the items could be made without corn, do you think they would be as good? Do you think the items would cost more or less than they do now? Place a tablespoon of cornstarch in a paper cup or plastic bag. Add two drops of corn oil to the cornstarch. Add a tablespoon of water to the oil and cornstarch. Add two drops of your favorite food coloring to the mixture and stir well. What do you notice about your biodegradable plastic? Is your biodegradable plastic the same as other students’ plastic? What could you make with this biodegradable plastic if you let it harden? Microwave your biodegradable plastic for 20-25 minutes on high. What happens to your plastic? Form your plastic into a ball and describe what you see. Play with it like clay, then watch it become liquid again! Blend mixture with a fork. It should flow when the bowl is tipped but feel solid when you touch it. If it’s too thick, add a little water. If it’s too runny add a little cornstarch. Punch a hole in the top of your bag (above the seal). Place 1 1/2 tablespoons of crystal soil into the bag. Add 1/2 teaspoon of water. Gently push in two seeds of corn. Insert the yarn to make a necklace. Wear your Corn Baby around your neck and under your shirt to keep it in a warm, dark place. 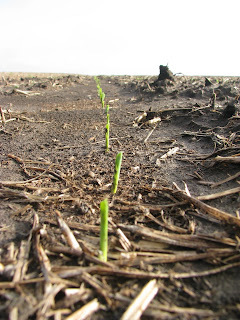 Watch your Corn Baby grow! Thanks ladies! Katie-I can’t take created for the ear of corn or the bowl of popcorn, but the rest are mine! I love taking pictures! I’m hoping the sky/sunset tonight is as beautiful as it was last night while we were driving home. If it is, I’ll post those pics ASAP! Can’t wait!